IBE TRADE CORP. is one of the biggest suppliers of fertilizers transferred through the following ports of Black Sea: Odessa, Yuzhniy, Kherson, Mariupol, Ilyechevsk. 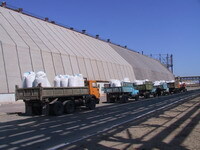 The fertilizers can be shipped through the Baltic ports also - St.-Petersburg, Kaliningrad and others. The goods are delivered into ports terminals by railroad cars in bulk or packed in 50 kg bags or 500, 750, 1000 kg big-bags. IBE TRADE CORP. (IBE) is a leading international producer and trader of chemical fertilizers. IBE TRADE CORP. (IBE) is a U.S. corporation, founded in 1987, with its headquarters in New-York City and representative offices in Budapest, Moscow, Kiev, Odessa and Yzhhorod. IBE also has production facilities in Russia and Ukraine. The company's distribution net covers North and South America, Europe, Asia and Africa. IBE Trade holds a solid position on the world market of fertilizers. According to the International Fertilizer Industry Association and Fertecon, IBE Trade Corp. controls approximately 12 % of the ammonia market, 6% of the ammonium nitrate, and 3% of the urea market. In addition, IBE Trade Corp. holds approximately 20% market share of NPK sales to China. Highly professional staff, efficient management system and transparency of the company's financials enable IBE to compete equitably with the world's leading fertilizer producers such as Transammonia Inc, Cargill Fertilizers, Conagra International Fertilizers, Hydro Agri International, Mitsubishi International Corp., Koch Nitrogen Corp.
IBE's strategies are aimed at strengthening the company's position in the world fertilizer market by increasing production potential and market share in CIS countries where IBE has achieved strong competitive advantage. - Efficient risk management policy. In all production facilities controlled by the company, IBE implements and enforces the following strategies and policies: modernization of machinery and equipment, reduction of production costs, continuous introduction of new products. Moreover IBE pays particular attention to strict compliance with environmental regulations. IBE TRADE CORP. is dedicated to continuous improvement of product quality in response to the demand of the international market. The company monitors its products' quality at all stages of technological and transportation process through all levels of production, loading/unloading and up to delivery to buyers. 5. Continuous education of the staff. The main principle of our company is guaranteed just-in-time safe delivery of the goods and supervision of its quality at all stages of production and delivery. 1. Loading the product into railroad cars and its shipment. Produced goods are subjected to a strong chemical and granulometric control, fine granules are removed. NPK is being stored within 3 day minimum on the warehouse in order to prevent caking and to stabilize its characteristics. Afterwards selected goods are loaded into thoroughly selected, repaired and cleared railroad cars. Our special department constantly traces movement of railroad cars with the product at all stages of transportation ensuring cargo safety and its delivery just-in-time. 3. Unloading and storing the goods at the port warehouses. Representatives of the independent surveyor company (Saybolt) hired by our company supervise quality and quantity of the goods in the railroad cars during the process of their unloading at the port. In case of revealing of any discrepancy (in quality or quantity of the goods) the report is drawn up and the thoroughly investigation is conducted. At the port the goods are kept in dry covered warehouses. Furthermore the goods are covered with special materials in order to prevent penetration of moisture from the atmosphere. Representatives of the independent surveyor company constantly supervise the state of the goods stored at the warehouses. All discrepancies in quality are recorded and thoroughly investigated. Before loading the goods into a vessel the thorough examination of all holds is carried out. Representatives of the independent surveyor company constantly watch loading goods into a vessel, take samples and make their analysis, measure interim and final draughts. 5. Unloading in the port of destination. The delivered goods are carefully examined during the process of unloading at the port of destination and in case of revealing of any discrepancy (in quality or quantity) the report is drawn up and each claim is handled thoroughly afterwards. We guarantee delivery of the high-grade products just-in-time! IBE Trade Corp. and its affiliates have owned and managed commercial and residential real estate for over a decade, both domestically and internationally, with a focus on the New York metropolitan area and Eastern Europe. IBE Trade Corp. is audited by Pricewaterhouse Coopers LLP. Extracts from the speech by the Chairman of the Supervisory Council of Severodonetsky Azot, Alex Rovt, at the meeting of managers and workforce. The situation with energy prices was difficult in 2006 and even more difficult in 2007, but I am very pleased to be able to say that our common efforts have brought positive results nevertheless. We are all optimists, so difficulties hold no terrors for us. We have come through a tough period together and we are the stronger for it. We all know that gas prices are not going to fall. Unfortunately they will only grow. 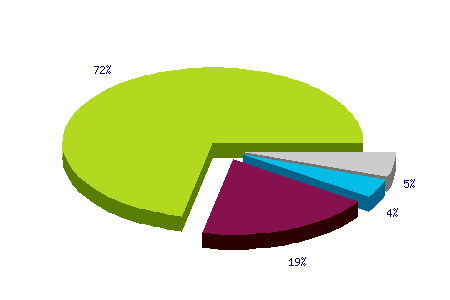 Gas represents about 70% of our raw material costs and nitrogen fertilizers are about 80% of our output. Gas is our main raw material, which means further difficulties on the road ahead. But we remain optimistic in our plans for the future. Firstly, we intend to buy and install energy saving equipment. We will try our hardest to reduce dependence on natural gas by developing outputs, which do not require major gas consumption. The Technical Director and Technical Department have proposed a program for the coming three years, which gives an important role to goods, such as high-pressure polyethylene, which are not tied to the gas price. This is our only option for further development of the company: high energy prices make other courses impossible. 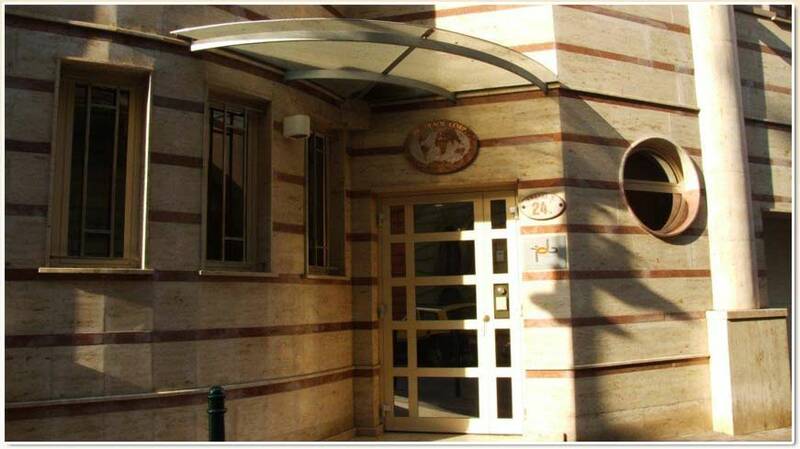 The Supervisory Council has decided to pay bonuses to all employees for the first quarter of 2007 equal to half of the factual monthly wage or wage due under company rules. Average wages at Severodonetsky Azot are currently 40% higher than the average in our Region. We want to make them even higher, because chemical production has special features. We will do all we can, through reduction of gas dependence, to restore the favourable situation, which the company enjoyed in 2004-2005, when available resources for development were much greater. We must all understand - there is only one way forward. Speaking for ourselves and for investors, I can assure you that we will not take a single kopeck from the plant in dividends over the next three years. All the money, which we earn, will be invested in production. We must start to produce new goods, which bring additional profit. We must also consider alternative ways of obtaining gas, such as independent development of gas wells, if that is permissible under the Ukrainian law. We are working on that possibility and on others. I can assure you on behalf of shareholders: we will do all we can to ensure that our excellent team of managers and employees continues to develop in the future. When we come here we want to see smiles on your faces and to know that Azot employees enjoy their work and receive a proper wage for doing it. Thank you once more for your labour, and for everything you do for the company! The Supervisory Council of Severodonetsky Azot CJSC held a meeting on March 29, which was attended by all Council members. Main items on the agenda were discussion of the financial report submitted by the executive board for 2006 and the first quarter of 2007, and plans for technical development of the plant and modernization of its production. Severodonetsky AZOT is a city and budget supporting enterprise which successfully implements social programs. The North Donetsk "Azot" Concern (60% of the shares belong to the IBE Trade Corp.; 40% to the Ukrainian State Property Fund) successfully completed its production programme for May, 2006. The product production plan was fulfilled 104.2%. The monthly production plan for all chemicals except acetylene and vinyl acetate was overfulfilled. Based on the results of April 2006, Azot Severodonetsk Association CJSC (60% of shares are held by IBE Trade Corp., 40%, by the Ukrainian State Property Fund) has 109.2% fulfilled its monthly assignment to manufacture marketable products. The capacity utilization rate came to 100% at the enterprise. This enabled to increase tax payments. For April 2006, Azot Severodonetsk Association CJSC remitted UAH 7.858 million in taxes, including UAH 6.037 million to the Ukrainian national budget and UAH 1.822 million to the local budget. Alex Rovt and the representatives of the world's largest producer of chemical fertilizers, Yara International ASA.visited ammonia production facility 1-A. The U.S. investor finds the current rate of gas consumption in ammonia production, 1300+ cubic meters per ton, not satisfactory. Utilizing the experience of Yara International ASA, the Azot investor plans to cut down gas consumption to 1100, thus resulting in 15-20% savings on gas, which accounts for 70% of the cost of the end product. Executive Vice President of Worldwide Chemical LLC, James William Grant visited Severodonetsk Azot. The first investment tranche was used by Severodonetsk Azot in its entirety. To ensure uninterrupted production, Severodonetsk Azot is stoking up on substantial quantities ofnatural gas, according to a statement by Valentin Kazakov, CJSC Chairman of the Board. Mr. Kazakov emphasized that the measure had been prompted by increasingly higher gas prices, natural gas being the prime raw material for Azot's products such as ammonia, chemical fertilizers, methanol. 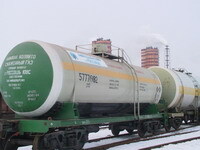 Worldwide Chemical LLC (USA), investor in Severodonetsk Association AZOT CJSC (Lugansk Region) is prepared to consider all proposals by the Ukrainian government to settle all the issues related to Severodonetsk Association CJSC as soon as possible, said Evgeny Stepanov, press secretary with IBE Trade Corp., which owns 85% of shares in the Worldwide Chemical LLC. Last Friday the manager of the Severodonetsk Association AZOT announced the takeover of the enterprise by unknown armed people. It became known later that the Ministry of the Industrial Policy, acting upon the decision by the Kiev Pechora District Court about the illegal nature of the closed joint-stock company establishment, appointed a new head of the enterprise. Later, the new head of the enterprise said that the enterprise had been switched back to the government control. Kiev, September 6. INTERFAX-UKRAINA - Chairman of the Ukrainian State Property Fund (FGI) Valentina Semenyuk arrived in Severodonetsk to negotiate the settlement of the conflict around SEVERODONETSK Association AZOT CJSC at the instruction by the President of the Ukraine Viktor Yushchenko. "We hold out the hope that the negotiations will help settle the situation", said Yevgeny Stepanov, IBE Trade Corp. (USA) press secretary speaking to the Interfax-Ukraina. According to him, minister of the industrial policy Vladimir Shandra, Chairman of the CJSC Supervisory Committee Alexei Kunchenko arrived at the AZOT enterprise together with the FGI head, and have already started talks with the CJSC investor and co-founder Alex Rovt, an American businessman and President of the IBE Trade Corp.
Vladimir Lyakhov, appointed by the Ministry of Industrial Policy order General Director of Association AZOT Severodonetsk State Manufacturing Enterprise (SSME), the second CJSC co-founder, also participates in the negotiations. Valentina Semenyuk addressed the rally participants gathered in the area adjacent to the AZOT plant and reassured them that the conflict will be resolved in a legal manner. The rally participants welcomed the FGI head and reminded her about their demands, support of the CJSC management, which could not work in the CJSC office building that had been taken over by the AZOT SSME representatives. As is known, in October 2004 the US-based Worldwide Chemical LLC Company won the competition to select the investor and co-founder of the CJSC established as part of the SSME reorganization, and has already transferred $60 mln to pay for 60% of its shares. In accordance with the decision by the Pechora District Court of the City of Kiev of March 17, 2005, CJSC SEVERODONETSK Association AZOT must return the entire property to SSME as a contribution to the CJSC authorized capital. Worldwide Chemical LLC disputes this court ruling. The appeal court of Kiev has rejected the appeal of the company "Severodonetskoe Obyedinenye "Azot" on decision of Pecherskiy regional court of Kiev from March, 17th according to which the constituent documents and registration of the company have been recognized void. Representative of State Property Fund has told about it on June, 27th, 2005. As he said, thus, the decision of Pecherskiy court about invalidity of creation of the closed joint-stock company "Severodonetskoe Obyedinenye "Azot" has entered validity. However, as the Ukrainian mass-media writes, first vice-prime minister Anatoly Kinakh has admitted an opportunity of the conclusion of the agreement of lawsuit between the Cabinet and company Worldwide Chemical LLC, an affiliated firm of "IBE Trade Corp." which owns 60 % shares of " Severodonetskoe Obyedinenye "Azot" (Lugansk region). As he said, as one of variants of the agreement of lawsuit can be the reception by the state of a control share holding of Joint-Stock Company "Severodonetsk association "Nitrogen". "Today we have considered a situation on Severodonetsk " Nitrogen ", there a good variant of the agreement of lawsuit is planned when the investor voluntary agrees that the state had control share holding and now the search of variants goes ", - Kinakh has told. President Victor Yushchenko, acting at the International investment forum in Kiev on June, 16th, has promised to foreign investors to make active privatization. The results of Golden Buttress federal contest held by RAO UES of Russia with the support of the Ministry of Industry and Power Engineering have been summed up. Minudobrenya Open Joint-Stock Company, Rossosh, the majority stockholder of which is IBE Trade Corp.. USA, was named the best enterprise in the Voronezh Region for careful energy consumption characterized by clear-cut planning and dispatcher operations. Impeccable adherence to the energy consumption schedules and modes, steady and regular resource payment have stipulated the economic progress of the enterprise and strict fulfillment of all obligations to the energy providers. The title of the Best Employer of 2004 among the biggest Lugansk Region companies was awarded to Severodoneckoye Obyedinenye Azot. The Best Employer of 2004 contest among the biggest Lugansk Region companies was won by Severodoneckoye Obyedinenye Azot Closed Joint-Stock Company owned by WORLDWIDE CHEMICAL LLC, subsidiary of IBE Trade Corp., USA. The results of the contest were summed up among three nominations in six groups depending on the number of people employed by a company. In 2004, combined sales for IBE Trade Corp. and IBE Kft. exceeded 3 million metric tons ("MT"), including 1.5 million MT of anhydrous ammonia; 269,195 MT of Ammonium Nitrate; 631,995 MT of NPK; 48,500 MT of UAN; 579,070 MT of Urea; 3,978 MT of Adipic Acid and 41 MT of Low Dicarboxylic Acid. This report you can find here (373 Kb). The Tender commission responsible for investor selection declared Worldwide Chemical LLC, a limited liability company controlled by IBE TRADE CORP, as the winner of the bid for participation in the formation of the CJSC "Severodonetskoye Obyedineniye Azot" on the basis of Severodonetsk State-owned Enterprise "Obyedineniye Azot". In November 2004 the State Property Fund and Worldwide Chemical LLC obtained a permission of the Ukrainian Antimonopoly Committee to establish CJSC "Severodonetskoye Obyedineniye Azot" on the basis of Severodonetsk State-owned Enterprise "Obyedineniye Azot". On December 24, 2004 the closed joint stock company "Severodonetskoye Obyedineniye Azot" was registered. The amount of charter capital of CJSC "Severodonetskoye Obyedineniye Azot" is 200 ml USD. Worldwide Chemical LLC holds a 60% interest in the newly born company, and the other 40% is held by the State Property Fund. The State Property Fund has already contributed the aggregate production assets of Severodonetsk State-owned Enterprise "Obyedineniye Azot" to the charter capital of CJSC "Severodonetskoye Obyedineniye Azot". Worldwide Chemical LLC has contributed 60 ml USD, and another 60 ml. USD will be contributed within one year. 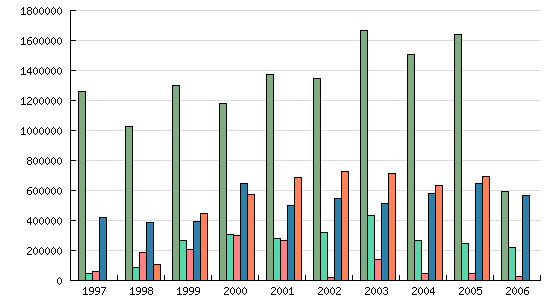 In 2003, combined annual sales for IBE Trade Corp. and IBE Kft. exceeded 3.5 million metric tons ("MT"), including 1.67 million MT of anhydrous ammonia; 425,395 MT of Ammonium Nitrate; 720,383 MT of NPK; 141,164 MT of UAN; 516,129 MT of Urea in bulk and the balance of tonnage consists of other various products such as Ammonium Sulphate, Potash, CAN, industrial AN etc. For the six months ending June 30 2003 IBE Kft. total sales were 67 million US dollars. In 2002 IBE TRADE COPR. annual sales exceeded 3.9 Million Metric Tons, including 1.3 million metric tons of Anhydrous Ammonia, 544,000 Metric Tons of Bulk Prilled Urea, 725,000 Metric Tons of NPK fertilizers, 19,000 Metric Tons of UAN Solution (Urea Ammonium Nitrate), 317,000 Metric Tons of Ammonium Nitrate and the balance of tonnage consists of other various products, such as Potash and Low Density Ammonium Nitrate. In 2003 IBE projects sales in excess of 4.0 Million Metric Tons. The life of Igor Nickolaevich Olshanskiy, the Executive Vice President of IBE Trade Corp., an outstanding person, an extraordinary leader and organizer, was tragically cut short. His family, relatives, colleagues and friends have suffered an irreplaceable loss. On the 27th of May, 2005, the annual stockholders' meeting of JSC "Minudobreniya", Rossosh took place. At the meeting alterations to the articles of association of JSC have been made and membership of committee of directors has been broadened. Minudobrenya Open Joint-Stock Company has successfully launched the ammonia pipe line main. Ammonia transportation has become much safer. The completion of the project took under six months. The mineral fertilizer producer was backed in this endeavor by the Rossosh mounting administration and Transammiak Company Voronezh subsidiary. ZAO Severodonetsk Association AZOT (Lugansk Region) plans to commence upgrading the UREA shop in 2007. The Lugansk Oblast-based Severodonetsk Association AZOT, major producer of ammonia and nitric fertilizers, increased its output by 5.48% in comparable prices, or 60.471 mln hryvnyas, to a total of 1,164.284 mln hryvnyas over the period from January through June 2006 as compared with the same period in 2005. The Ukrainski Novini news agency learned this from the Kiev-based IBE Trade Corp., AZOT shareholder, press service. Major producer of ammonia and nitric fertilizers, Lugansk-based Severodonetsk Association AZOT closed the first six months of 2006 through June with net profit of 12.275 mln hryvnyas. The press service of the North Donetsk "Azot" Concern informed Kommersant today that it plans to undertake the technical re-equipment of the enterprises fixed assets to mark Chemical Worker's Day (May 28). 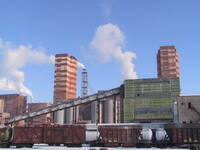 The CJSC "Severodonetsk Azot Association" increased its ammonia production in 2005 by 9.6% to 966,000 tonnes. According to information received by the Interfax-Ukraine news agency at the IBE Trade Corp (USA) press service, the enterprise also increased its production of ammonium nitrate by 5.6% (over the 2004 amount) to 457,000 tonnes, its production of methanol by 6.2% to 195,000 tonnes, and its production of formalin by 22.5% to 116,000, but reduced its output of acetic acid by 4% to 159,000 tonnes. A year ago, 24 December 2004, the failed SGPP (Severodonetskoye State Manufacturing Plant) Azot, Ukraine's third largest chemical plant, was saved by a joint venture set up with foreign investors. Exactly one year later, Azot received the second part of investments, the US-based Worldwide Chemical LLC having honoured its commitments under an investment programme in full. The business is now going from strength to strength and upgrading itself, with the management's plans providing for a complete retrofitting of the facilities before 2016. This business entity is called one of the three whales to support the region's economy. It is thanks to its investor, Worldwide Chemical LLC, which owns a 60% stake in the business, that Azot made the grade. So it is hardly surprising that the inauguration ceremony was attended by the household names of Severodonetsk and the region, who did not stint words of praise for the investors. DELO asked the leading industrial enterprises whether they are going to retain their profitability if Russia increases the natural gas rates up to the European levels. We were primarily interested in the opinion of energy-intensive and export oriented sectors of the economy. Ex-Governor of the Lugansk Region Alexei Myacheslavovich Danilov is seeing red. Small wonder. He lost such an influential position overnight. He is naturally upset. But why insult decent and respected people, tilt at windmills? Journalist Grigory Sinyavsky visited the conference room of the Obozrevatel Internet-based newspaper on the ninth of November to attend Alexei Danilov's press conference. At the meeting with Prime Minister Yuri Yekhanurov US Congressmen raised the question of Severodonetsk Azot. On 2nd November prime minister Yury Yekhanurov met in Washington with members of US Congress. One of the main questions is Ukraine's membership in the WTO. The Congressmen approved the efforts of the prime minister to turn Ukraine into a country with market-oriented economy and paid special attention to the objective of creating a favourable investment climate in Ukraine. On the first of November Ukraine's Prime Minister Yury Yekhanurov met in Washington with top managers of leading US companies. The meeting had been arranged by the US Chamber of Commerce and Industry. The meeting addressed a number of pressing issues in the Ukrainian-American business relations. Specifically, discussion touched on Severodonetskoye Ob"yedineniye Azot CJSC. On the first of November 2005, Ukraine's Prime Minister Yury Yekhanurov met in Washington with top managers of leading US companies. The meeting had been organised by the US Chamber of Commerce and Industry. The meeting addressed a number of pressing issues in the Ukrainian-American business relations. Specifically, discussion touched on the situation around Severodonetskoye Ob"yedineniye Azot CJSC. Ukraine's Prime Minister Yury Yekhanurov and James Grant, executive vice president of Worldwide Chemical LLC, the CJSC investor, discussed the situation around Azot. On the first of November 2005, Ukraine's Prime Minister Yury Yekhanurov met in Washington with top managers of leading US companies. The meeting had been organised by the US Chamber of Commerce and Industry. The meeting addressed a number of pressing issues in the Ukrainian-American business relations. The controversy over the future of Severodonetsk Ob"yedineniye Azot CJSC rages unabated. To date, the investor, US-based Worldwide Chemical LLC, has proposed as many as five different drafts of a settlement agreement to the government. The government is thinking about accepting it. And the company, meanwhile, is continuing its large-scale efforts to overhaul the manufacturing facilities. Worldwide Chemical LLC has made available $60 million for the project. The second infusion of investment capital (another $60 million) is to be made before the end of 2005. A group of engineers from the world's biggest maker of chemical fertilizers, Yara International ASA, has visited Severodonetskoye Ob"yedineniye Azot CJSC to review the options for retrofitting the ammonia plants. Founders of the Severodonetsk Association AZOT CJSC, State Property Fund and the American Worldwide Chemical LLC Company intend to develop a common stance with regard to the current joint stock company status before the case is taken to the Ukrainian Supreme Court. In order to speed up the legal settlement of the issue, the State Property Fund requested the Ukrainian President and the Chairman of the Supreme Court to help bring quick solution to the problem. With the quite questionable reprivatization programme announced by the authorities in the fever of the post-election syndrome beginning to show all its drawbacks and shortcomings and generating in its wake new corruption schemes, loopholes for lobbyism and redistribution of assets in favour of the private business close to the authorities, the senior officials in the administration made a difficult but the only right decision: to abandon such a popular but ineffective and fatal to the economy programme. During his recent visit to the United States, President of the Ukraine Viktor Yuschenko met with the political and business circles of America. The Ukrainian President also met with the US State Secretary Condoleezza Rice, other foreign leaders and members of the US Congress. During his recent visit to the United States, President of the Ukraine Viktor Yuschenko met with the political and business circles of America. In particular, the President met with the US State Secretary Condoleezza Rice, other foreign leaders, and also members of the US Congress. The Congressmen discussed the investment climate in the Ukraine with the President. They showed their great concern with the future and the prospects for investments in connection with the recent dramatic events in the city of Severodonetsk. IZVESTIA, September 23, 2005, No. 171. MOSCOW, Sept. 20 - Ukraine plunged deeper into political turmoil on Tuesday when Parliament rejected President Viktor A. Yushchenko's choice to be prime minister, and the top prosecutor announced that investigators had opened criminal inquiry into allegations of corruption among the president's aides. Yesterday the government representatives left the Severodonetsk Association AZOT CJSC office building that they had occupied since last Friday. In accordance with the Kommersant anticipations, (see issues dated September 5), the Cabinet of Ministers agreed to enter in negotiations with the US IBE Trade Company, which owns 60% of the CJSC shares so as to not complicate the upcoming visit by President Yuschenko of Ukraine to the United States. Alex Rovt, president of IBE Trade Corp.: "It is in the state's interests to work with us!" Izvestia: Mr Rovt, what do you think, will you manage to keep Severodonetsk Azot? Alex Rovt: We are 100% sure that we shall save our joint venture with the state. And we are confident that common sense and law shall triumph at the end of the day. We operate strictly within law. And we are not in breach of any clause in our agreement with the state. We believe that Ukraine is governed by the rule of law, and she has proclaimed it many times. "We are sued by Luganskoblenergo, which is a phantom"
P.: What do you think of the investment prospects of the chemical sector? A.R. : In principle, they are good, but there is a problem - volatile gas prices. This could never happen in a democratic country! Today our guest is a legendary figure. Elizabeth Holzman has served a long time as a US congressperson, district attorney, and head of New York Auditing Chamber. At present E. Holzman is world-famous private lawyer. Our correspondent had an exclusive interview with her. Cry Yanukovich, it's better than to cry stop thief! Over the last months the national economy has been given a bumpy ride. One of the main factors to upset the economic cart has been the incessant scuffles around the properties seen as the biggest pieces of the national manufacturing pie. Interview taken by Evgeny Viktorov. "What happens to Azot happens to our children!" "Azot is the future of Severodonetsk!" The slogans with which the factory workers entered the town's main square last Friday did not exaggerate. You have to be familiar with both Azot and Severodonetsk to have an idea of how closely they are connected. In the final analysis, they cannot exist if separated. All the town residents are aware of it. And being aware of it as they are, they cannot help worrying. According to the rally participants, they waited a long time for the politicians to understand their plight and for the authorities to take decisive action. They waited and... got tired of waiting. Alexei Kunchenko: "We put our trust in the President!" The main victim of reprivatization, the son-in-law of ex-president and mogul Victor Pinchuk, has nothing to complain about: he's not the only one to suffer. In defiance of all logic, and market-conscious logic in particular, the maelstrom unleashed by the Ukrainian government engulfed even a US investor, WORLDWIDE CHEMICAL LLC. The US chemical manufacturers were foolhardy enough to sink $60 million into the Severodonetsk Azot. Exactly the same amount remained to be paid. And money would have been no object, but the investor was taken to court and looks set to be driven from the business premises. Vitaly KNYAZHANSKY,Den, No 144 (2123), 11 August 2005. Go Easy on the Investor! Despite all the talk about the rewards to be reaped upon arrival of major investors in Ukraine, in practice there is always the fear that the new owner will scale down the production, lay off workers, and maybe go as far as sell off the equipment and siphon off the money through offshore accounts - such examples abound. That is why the people at the Azot plant, which employs one out of every 3 residents of Severodonetsk, offered at first a cautious welcome to US company Worldwide Chemical LLC, a subsidiary of a chemical major, IBE Trade corporation. Vladimir Gritsishin: "Thanks to the investor and team work, Azot is doing great!" The situation around the Severodonetsk Azot continues to rivet the public attention. When will the situation, which is anything but simple, be finally settled? Will the US investor stay at Azot? Intensive consultations are currently under way between Ukraine's authorities and the investor, Worldwide Chemical LLC, a subsidiary of IBE Trade, a major US corporation. The situation is commented by Vladimir Gritsishin, Mayor of Severodonetsk. Alex ROVT: "WE ARE READY FOR THE DIALOGUE WITH POWER AND SOCIETY! Known American businessman Alex Rovt, our compatriot, was born in 1952 in small Ukrainian town of Mukachevo, where he studied at school N 5. Later on he graduated from trade-economic institute in Lvov. "IBE Trade Corp": investment responsibilities at Ukrainian market.